W. W. Norton & Company, 9780393254433, 256pp. For many of the 40 million Americans who undergo anesthesia each year, it is the source of great fear and fascination. From the famous first demonstration of anesthesia in the Ether Dome at Massachusetts General Hospital in 1846 to today's routine procedure that controls anxiety, memory formation, pain relief, and more, anesthesia has come a long way. But it remains one of the most extraordinary, unexplored corners of the medical world. 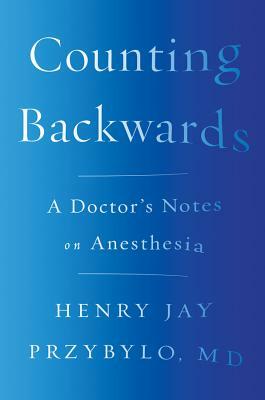 In Counting Backwards, Dr. Henry Jay Przybylo--a pediatric anesthesiologist with more than thirty years of experience--pulls back the curtain and delivers an unforgettable account of the procedure's daily dramas and fundamental mysteries. Przybylo has administered anesthesia more than 30,000 times in his career--erasing consciousness, denying memory, and immobilizing the body, and then reversing all of these effects--on newborn babies, screaming toddlers, sullen teenagers, even a gorilla. With compassion and candor, he weaves his experiences into intimate stories that explore the nature of consciousness, the politics of pain relief, and the wonder of modern medicine. Filled with intense and humane tales of near-disasters, life-saving successes, and moments of grace, Counting Backwards is for anyone curious about what happens after we lose consciousness.